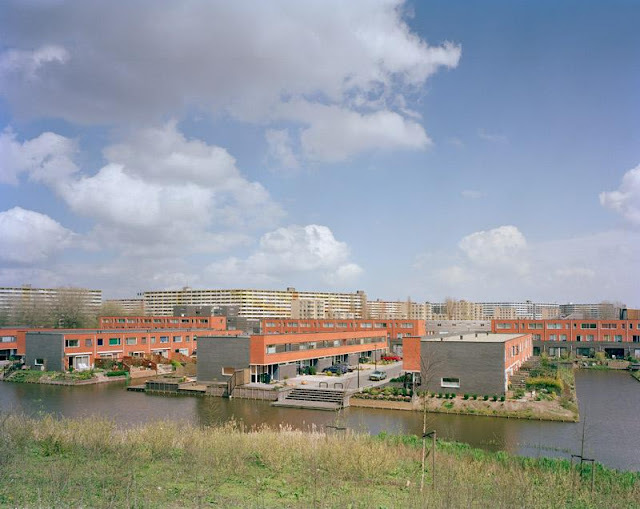 In 2004 the Netherlands Institute for Social Research (SCP) summed up the (upcoming) changes in society: Individualization, Internationalization, Informalisation, Intensification and Information. The five I's stands for more freedom of choice, emerging network organizations, less dependence on traditional groups, a need for variety and change, international culture, globalization, the loosening of social ties, decreasing authority of formal organizations and the unlimited possibilities of ICT, internet and social media. The Pop-Up City is powered by these global trends. But the Pop-Up City is also a reaction to the mismatch between the built environment (planned city) and the actual use patterns of the city (lived city): "Modern cities are a mixture of ego-driven architecture, profit-oriented pursuits, and long-term master plans. Office developments are designed for the first entity to use them, leaving inflexible spaces for future tenants once the original tenant packs their bags for greener pastures in the next fashionable building." Pop-Up is a way of city-making which tries to cope with and react to this mismatch. And at the same time it's a call to a reformed kind of urbanism that is more flexible, adaptable and mobile. Just as society. The book describes the way the planned city is beginning to re-conceptualise through the efforts of creative individuals with limited resources. Leading to spontaneous, unexpected initiatives that pop-up in all kind of forms and in different places. But always with a time-bound existence. 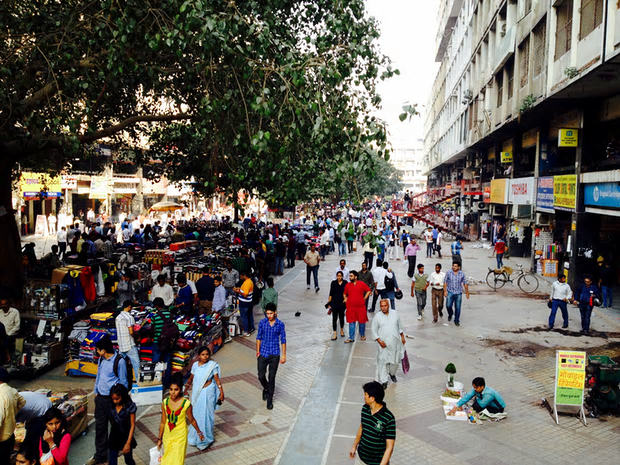 There are six themes (Living, Work, Food, Shopping, Public Space, Marketing/financing). In these chapters some remarks are made about the developments in that certain theme and through this text are the pop-up projects. The examples are presented by one great picture and three to four sentences that explain what you are seeing, where it is made and by whom. In some cases that is a bit scanty. Naturally, every example has a link to Popupcity.net for more information, but this booklover doesn't always want to keep his smartphone or tablet nearby when he is reading (especially in this case, because I was reading this book under the Italian sun). But besides this, it is regrettable that the editors didn't choose for some more detailed descriptions. For example, by interviewing a few initiators: how did they make it? What were there intensions? What was disappointing? How did they coop with the planned city? This kind of information would also have been a gain relative to the descriptions on the blog. The most known pop-up phenomenon is the pop-up shop. This concept is a great way for retailers to sell products on a short-term basis with low entry costs and a great brand communication. 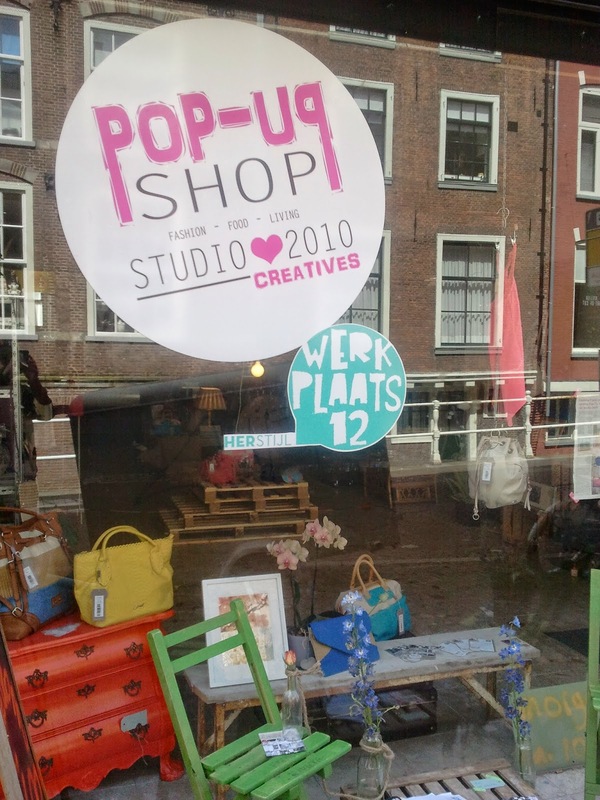 "The strength of the pop-up shop lies in its temporality: by existing for a fixed period of time, interim retail locations are able to generate viral interest online, ensuring that locals will be motivated to visit the store while the retailer's brand is simultaneously marketed elsewhere. [They] infuse an element of exclusivity and urgency into the retail experience." And for the cities these pop-up stores are a good solution for the vacancy in inner cities. One of my favorite bottom-up approaches are the urban interventions in public space (see for example my Tumblr account). "Street artists and urban hacktivists do not only take the city as a canvas but use their energy to improve public spaces, without prior solicitation. [...] Micro-urbanist interventions are cost-effective solutions to a small-scale deficiency, often carried out by individuals to improve their own immediate urban surroundings." Besides the wonderful world of Street art there are many forms of 'Tactical urbanism', like PARK(ing) Day, Urban Knitting, Chairbombing en Streetpianos. 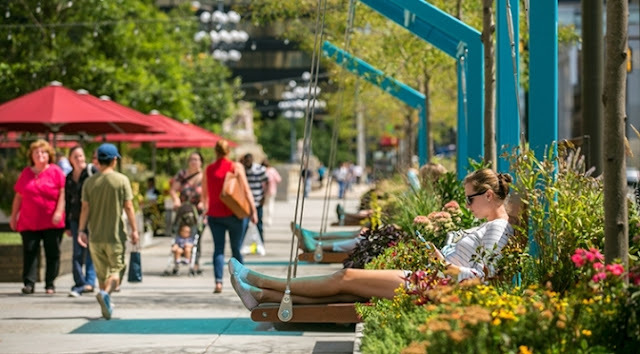 In the book you will find also some nice examples, like the Pop-Up Lunch (project that added small tables and seating to sidewalk objects), Citizen-made Wayfinding, the famous swing set that makes music and the wonderful world of interactive art by Candy Chang. An interesting observation of the authors is that a lot of these interventions are becoming global online hits. And that this online likeability in more and more cases is becoming the primary driver behind urban interventions. 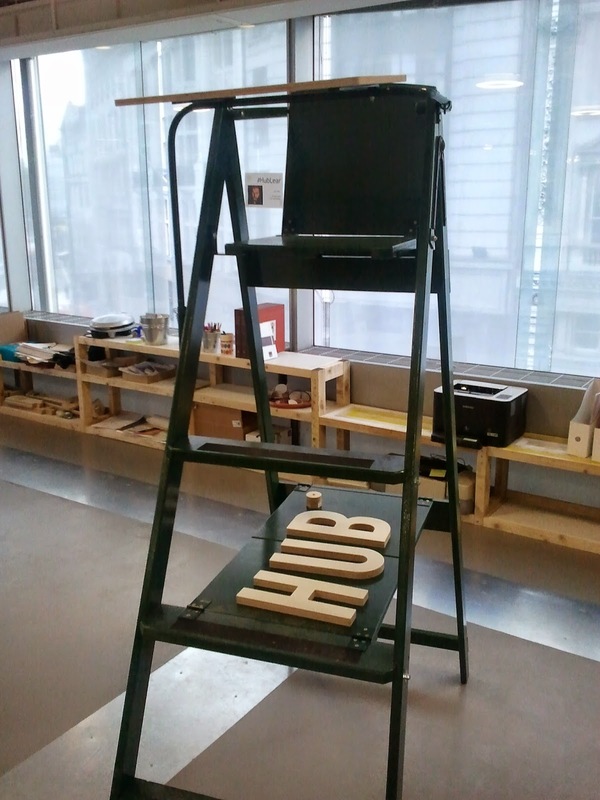 Fun and publicity as starting point instead of repairing, decorating or improving public spaces. That's also why you shouldn't take all examples to seriously. On the other hand this global media attention can also ensure that the same intervention will pop-up elsewhere in the world. "Local becomes global before becoming local again." And some are even becoming worldwide events, like PARK(ing) Day, Little Free Library and Restaurant Day. It is interesting to notice that most of the examples are from (semi-)professionals such as artists, architects and social entrepreneurs. Although they probably are also local residents, the initiator has personal experience with the theme thanks to his/her education or work. That is remarkable, because when politicians, policymakers and researchers talk about ‘the civil society’ they mostly refer to ordinary residents with no experience in these fields. Sometimes the authors are getting overenthusiastic about their vision of a fluid world: "People now change their job as easily as they replace their toothbrush". As a consequence the book sometimes focus too much on trendy lifestyles in inner cities. With the 'urban nomad' as a characteristic example. The urban nomad refers to forward-thinking people in the upper echelon of society that live a flexible life. They are not too old and roam the international cityscape searching for a vibrant place to live. They use online peer-to-peer platforms such as Airbnb and Wimdu for finding places to sleep. Snappcar for renting someone else his car. And EathWith for finding a diner at a kitchen table nearby. But for a diner they also go to temporary restaurants or food trucks which they find by using location-sharing social media platforms. Or they are getting their herbs, fruits and vegetables from the Subway Platform Supermarket, the urban farm or by plucking edible species in the urban landscape. They do their laundry in shops where the laundromat is combined with a bar. And because they are mostly freelancers (being a wage earner is totally not done) they use free Wi-Fi places such as libraries and the most trendy coffee bars as a working place. 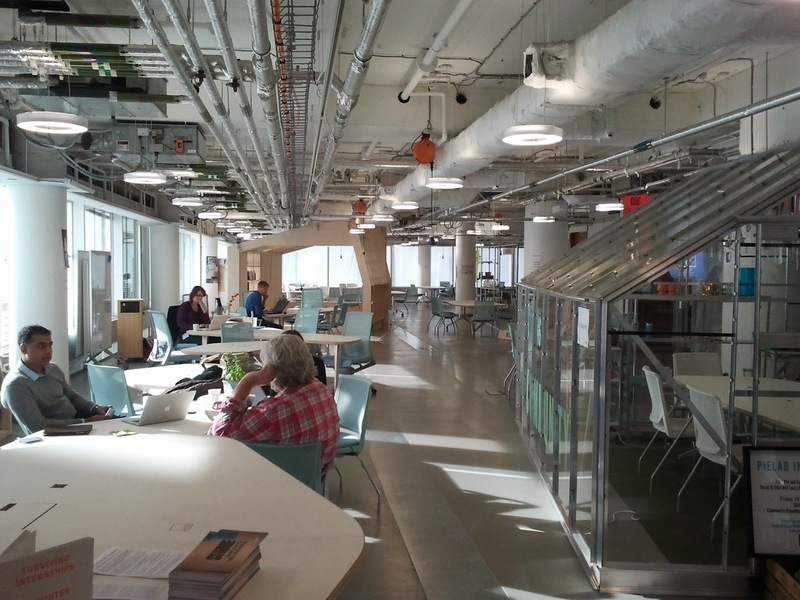 Or they rent a spot in co-working chains such as Impact Hub, NextSpace or Seats2Meet. Or renting out temporarily unused desks with LiquidSpace or ShareDesk. In their free time they dance along in flash mobs, play golf on a parkinglot or go to parasite cinema's. Of course this description of the urban nomad is slightly exaggerated, but my point is, is that the city exists of so many more lifestyles. Not every urban dweller needs this amount of variety, change, mobility, spontaneity, flexibility, interaction, sharing and (digital) connectivity. In my opinion are the presented city-makers a small (but desirable) complement to the urban landscape. The book however sees these pioneers as the proof of a paradigm shift in how city-making happens. It is something you see in many journals, books, policy documents and urban blogs (even mine). The glorification of downtown amenities and urban lifestyles. Aaron M Renn describes this predilection perfectly in The Guardian: "Those of us who love urban areas’ walkability, variety and novelty often have a tendency to universalise – not to say sacralise – our values and tastes. But in an ever more diverse world, different people are going to have different ideas about the good life. [...] We frequently fail to recognise that our own personal preferences are in most cases just that. And too often in urbanist discussions, that means white hipster preferences." Are these critical comments disastrous for the book? Not at all. Who loves the blog, will love the book. 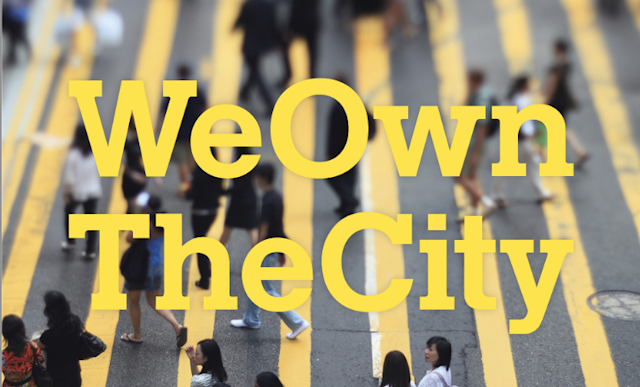 Who wants an insight into new urban strategies from new city-makers will be satisfied. The same is true for those who are looking for some inspiration in combination with funny ideas. Where the blog is made up of individual parts, in the book you also get some context. And relationships are laid between the examples. However, do not expect the results of a thorough (academic) study. 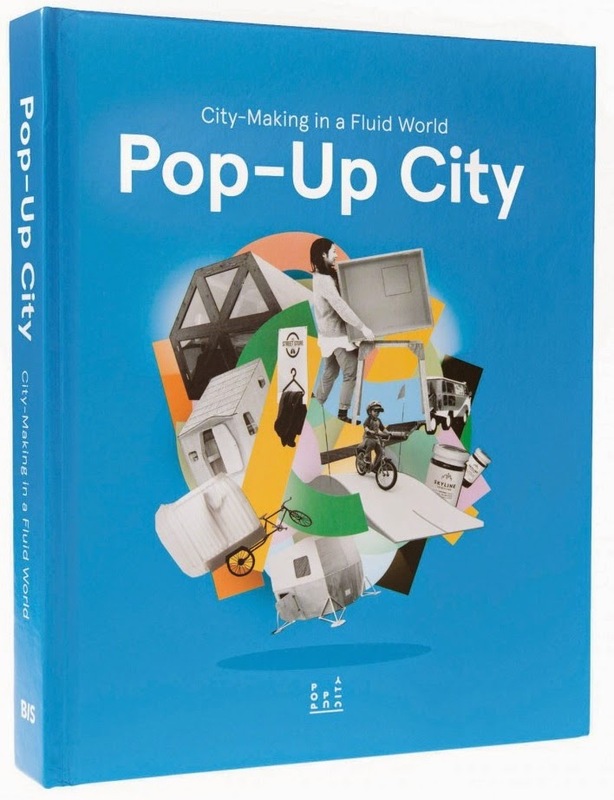 It is just as the authors say: "Pop-Up City is an inspiring series of snapshots showing innovation and passion from individuals in cities across the globe." Nothing more, nothing less.